Chloe's had a hard life full of disappointments and what she longs for most is a promising future with a career she excels at, a husband she loves and a house full of children. During her summer breaks from college she works as a nanny for the Reed's, who on the outside symbolize everything she wants in her life. One particular summer she comes face to face with the Reed's eldest son, Tyler, the hometown hero and football star. She has always been attracted to Tyler and soon finds herself falling in love with him. 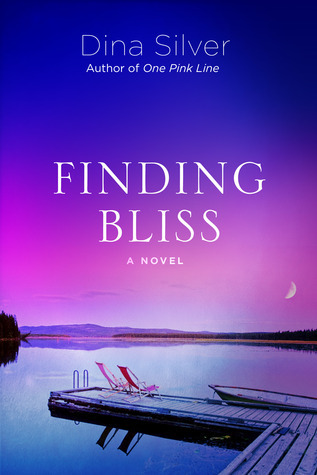 Finding Bliss is not your typical romance novel where boy and girl meet, overcome some obstacle and live happily ever after. The story is told as more of a reflection of the events in Chloe's life which have led her to learning her life isn't always going to go exactly as she expects, but instead recognizing what brings her happiness and then ultimately finding herself. Dina Silver's writing and storytelling is completely authentic and very real, which means at times during this story you are going to be swept away in romance and happiness but by the next chapter you may find yourself frustrated and completely heartbroken. Chloe and Tyler are not your typical book heroes. They are very real, they have flaws that will drive you crazy especially because they aren't always able to overcome them. You journey with Chloe and Tyler through some of the very most important events in their life, perhaps some of the same things we ourselves have gone through and life isn't always easy. You know this truth because maybe you've lived through some of the circumstances Chloe and Tyler face so watching them is going to be hard. This book is definitely not a break from reality! 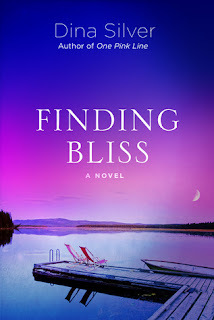 Honestly, I struggled with how many stars to give Finding Bliss. On the one hand I was completely engrossed with the story and at times found myself emotionally connected with the characters. However, in the end I was disappointed and felt let down with Tyler's inability to step up, take charge and fight for his future. He often times came across sweet and romantic, always knowing exactly what to say, but there were other times he seemed to lack self confidence or motivation, almost like he didn't care about his life or the people in it. I felt like his actions never really backed up his words. On the other hand, I found myself incredibly proud of the strength Chloe grew into over the course of the book and I really came to respect her character, which is saying a lot because she was so naive and almost desperate when then story first started.